When someone says “value engineering” immediately our minds go to a process that involves making the cost of the project lower by cutting out portions of the project or reducing the quality of materials being used. Value Engineering (VE), by definition, is a systematic method to improve the “value” of goods or products and services by using an examination of function. 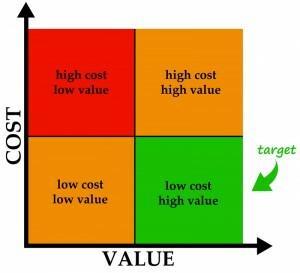 As you see in the definition, through the process of VE the value is improved which many times will reduce the cost, but the function is not diminished. VE involves providing the Owner with options that may decrease or increase the cost of the project, but at the end of the day “improves the overall value” of the end product which is the ultimate goal of the value engineering exercise.